As regular readers know I do love buying books, am trying to be good about buying novels as I have so many to read already but the temptation of Amazon is hard to resist! However I have allowed myself the purchase of two lovely books by bloggers that I am going to use as Christmas presents. 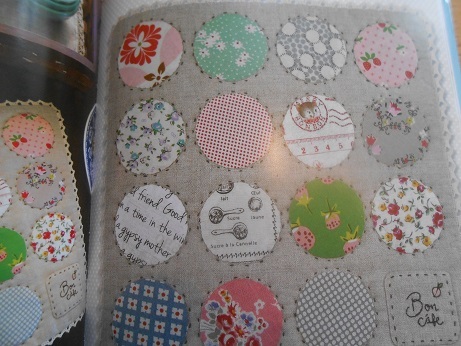 One is from the lovely Nana Company blog by Amy Sinibaldi and is something that I had my eye on for a while. 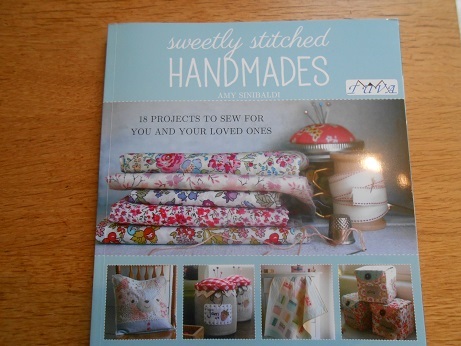 The Sweetly Stitched Handmades has got so many lovely ideas in for using Liberty and linen and some great gift ideas. 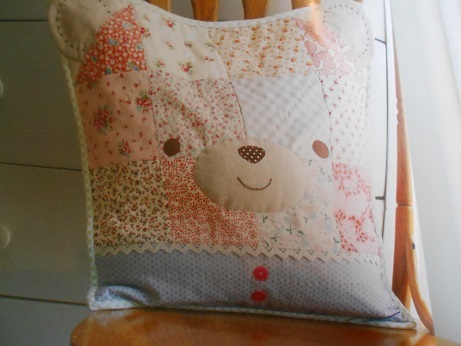 This bear cushion is one of my favourites, isn’t that brilliant! Such a simple idea but so cute. I also really love the spot trivet, there have been lots of these on social media and they are all gorgeous. 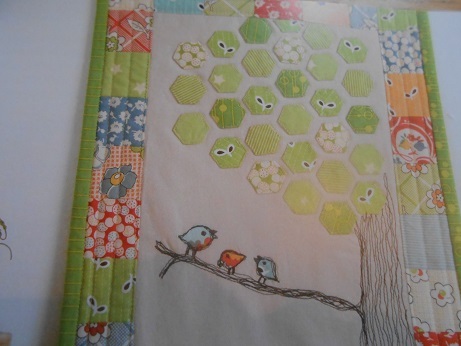 And look, stacked hexi flowers! What a great idea. 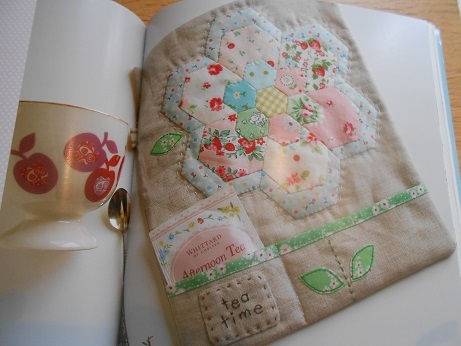 The other book was one from a new blog to me, Why Not Sew?, where Erin makes lovely vintage inspired quilts. 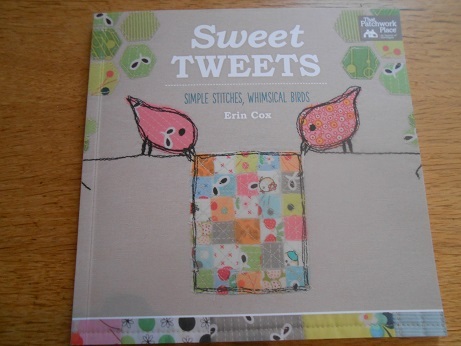 I found her blog and her book through Crazy Quilt Mom’s pincushion party where she had made the cutest little bird pincushion and really loved the book Sweet Treats , you can see everything that is in the book at this post here. 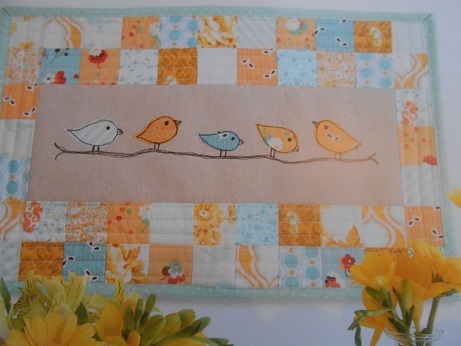 All of the designs feature cute little birds and these are some of my favourite ones. 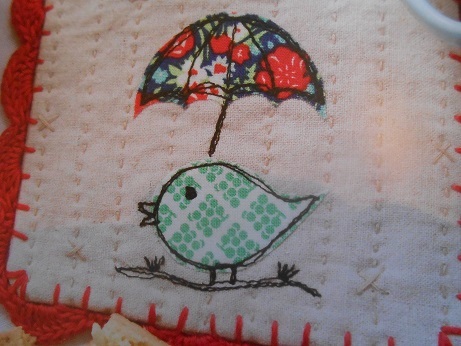 Isn’t her stitching so good, especially love that last one with the umbrella! Am making good progress with all my WIPs, lots of things got halted because of the need to make kit for people, the things for Yarndale and the wedding outfit but am now back on with the block of the month challenge that we had set ourselves. I completed May’s block this weekend and an extra one to use up the fabric I had so that I can make the first 6 blocks into a lap quilt as a Christmas present. I will then start on the blocks from June which will be a second lap quilt using some gorgeous fabric I bought at the Birmingham Quilt Festival. 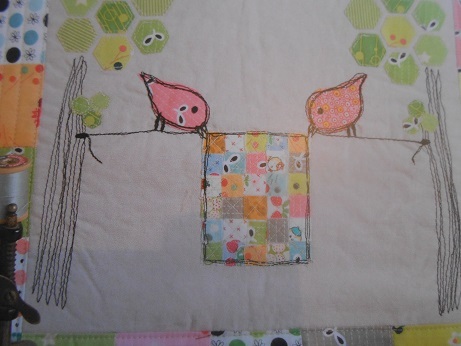 I am really enjoying our challenge, even though I am so behind, and it is definitely making me more confident with my quilting skills, my piecing is far more accurate and we have done some blocks that I would never have attempted on my own. Pictures when I have put it together as a quilt top, hopefully some time in the next week. Have a lovely week ahead whatever you are doing and thanks for visiting. Have I mentioned the concept of a “tsundoku” – the pile of books one is intending to get around to reading? You may well be one of the few whose tsundoku is taller than mine! I think I have 23 waiting to be read at the moment – am getting through them and am determined not to buy any more!